The Crosman DPMS SBR Full Automatic Air Rifle is a tactical, compact CO2 rifle that sends out a barrage of steel BBs through either a single shot semi-auto mode or full-auto mode with an insane 1,400 rounds per minute rate of fire - the most fun you’ll ever have shooting an airgun. 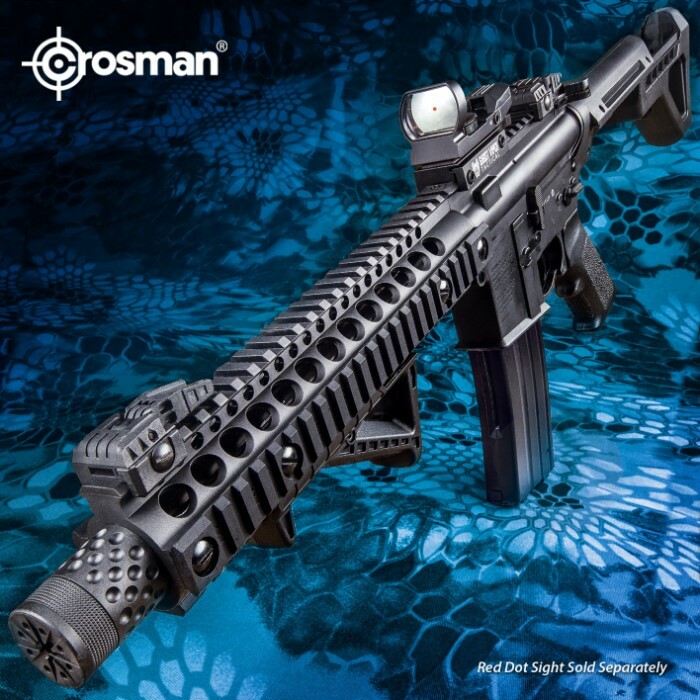 It features a six-position nylon fiber buttstock, AR compatible pistol grip, quad Picatinny rails for accessories, angled fore grip and flip up iron sights (BUIS). 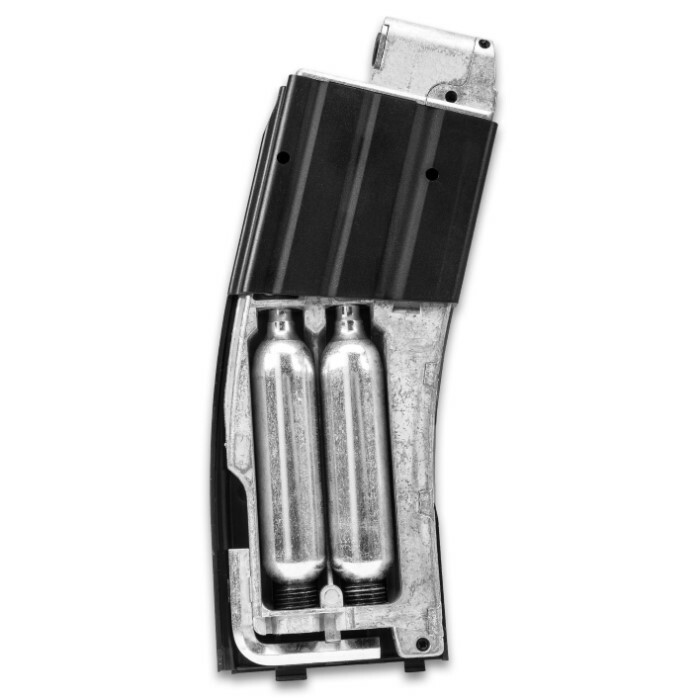 It is powered by dual 12 g CO2 cartridges that are housed in a drop out 30-round magazine for ease of access. 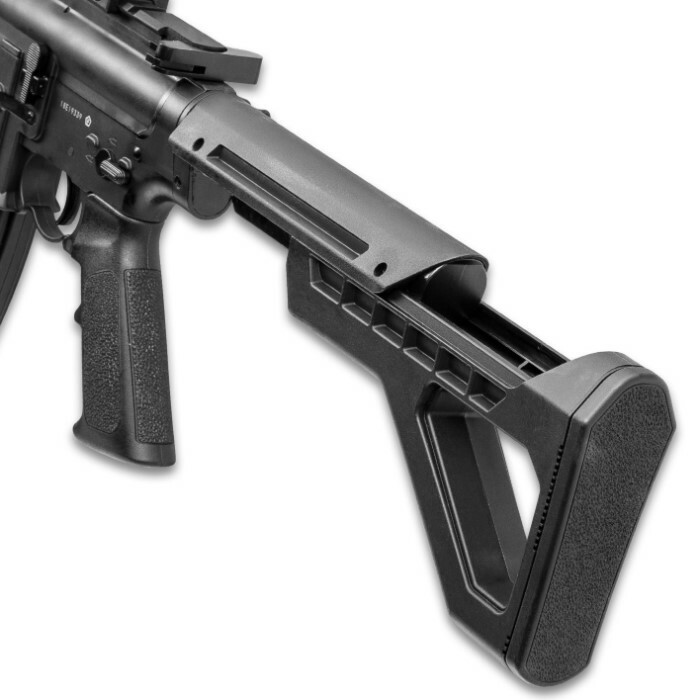 This air rifle has a heavy, realistic weight and features blowback bolt action, an ejection port cover and a forward assist button. Overall I found the gun to be fun to shoot with fairly decent accuracy. Trigger is very rough and takes more pull than necessary. Speed loader is a waste of time; it never worked (even with one round) and was difficult to manipulate. Easy to see how it could be changed/modified to better accommodate the shooter. The "magazine" plate (which covers the CO2 canisters) was either difficult to open or, after being opened, would not stay put when closed. The instruction manual said NOTHING about the speed loader. Also, You needed a magnifying glass to read the manual. Despite this the gun is fun to shoot, but I would only give it an overall grade of B-. Got mine and tried it out yesterday. Good velocity (watch that ricochet!) and pretty darned accurate. Semi-auto mode has heavy trigger but with proper trigger control is very accurate. Full-auto does go through the CO2 pretty quick but that is why they come 24 at a time! I've had a mountain of trouble with the speed loader but after reading some of the other posts on here, I'll try the Crosman Pellgunoil trick. This thing is a blast! If you had a Daisy in the 60s, then this is your toy for the 21st century! Great weight and detail, I haven't had the loading issue but I haven't really used the speedloader much, it's easier for me to pour them from a small bottle while holding the mag loading tab down. I will say it's absolutely eats CO2 in auto fire but hey, what did you expect on full auto? - On semi auto it's much more efficient with the CO2. 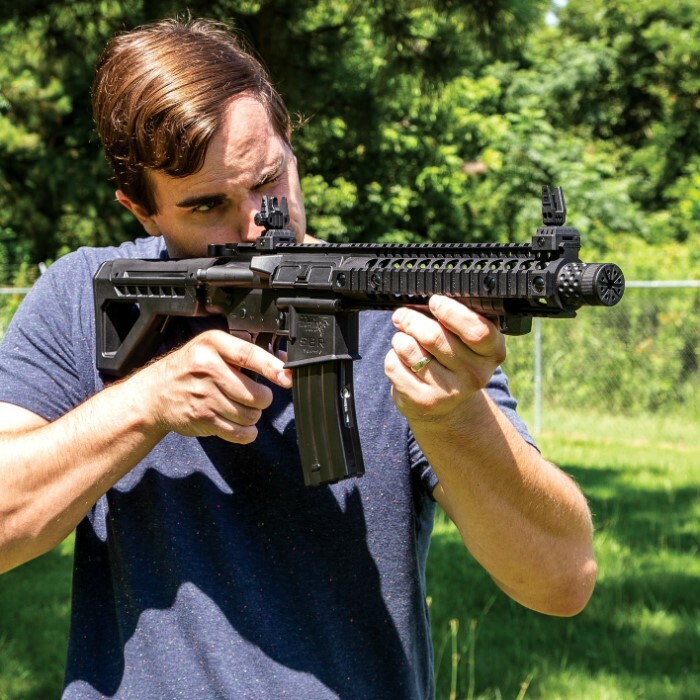 This is about as real as it gets for looks and function and you can reasonably expect a visit from local cops if neighbors see you toting it. I have zero complaints, this thing is an absolute blast fun-factor wise and has exceeded my expectations in every way. Wish extra mags were cheaper but it's hot now, give it a year or two and they'll likely drop in price a bit. 5 stars. Very nice design and a lot of fun. Feels and looks like the real thing. Trigger is stiff. It is difficult to load. 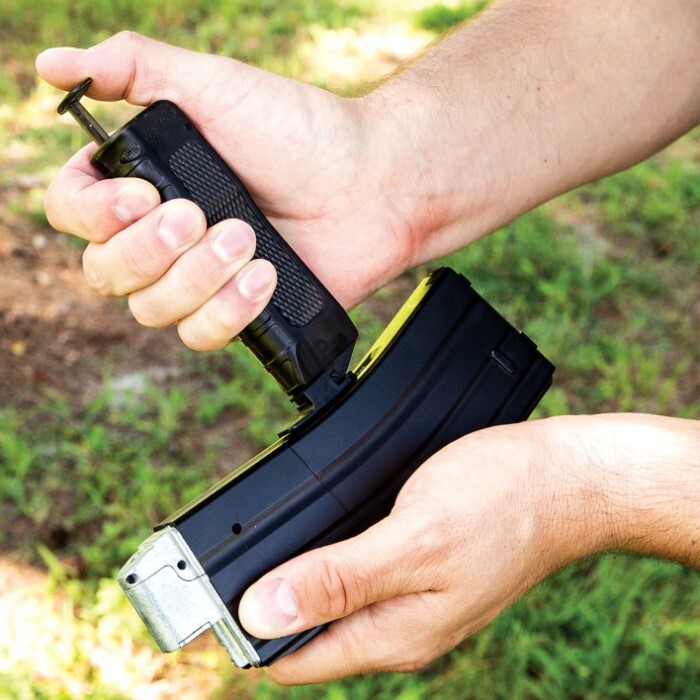 25 round magazine takes minutes to load and rounds are expended in less than 2 seconds on auto. Loader is not a great design. Loader only works with 8 or less BB's in the hopper. More than 8 interferes with the release mechanism inside the loader. Even with 8, it will still jam, but tapping/shaking/inverting etc. should clear it to load. Should be sold with an extra magazine to extend the fun. Can't find a source for additional magazines.